The Door Guys specialize in the sales, service, and installation of upward acting doors (garage doors) the door guys are passionate about their work and deliver an unrivaled experiences in agricultural, commercial, industrial, and residential applications. Commercial sized roll up screen doors protects against flying insects, birds, leaves and debris from entering work area, while allowing air flow into the dock. A strong choice in many applications although favored among those in the food industry. Full view doors are a clear choice for auto dealerships, car washes, corrosive environments, police, fire and ambulance stations, quick lubes, repair facilities, restaurants, marinas, sports facilities and buildings with large opening sizes. High speed fabric doors are highly intelligent doors designed to perform self diagnostics and complete hundreds of cycles per day without wearing parts such as stiffeners, springs, cables and straps or motor brakes, in turn reducing repair cost and operational costs. One of the most common door systems on the market is the commercial overhead sectional doors. You can achieve the same look on your barn as you have on your house to have your entire property feel in sync. Vertical and high lift systems really open up the overhead space and apply to commercial, industrial, and even in some residential situations. This system allows the door to travel straight up the wall and rest at an angle while not obstructing the door opening or any overhead operations.They are perfect for so many situations where maintaining the headroom inside is as important as getting the opening height you want. 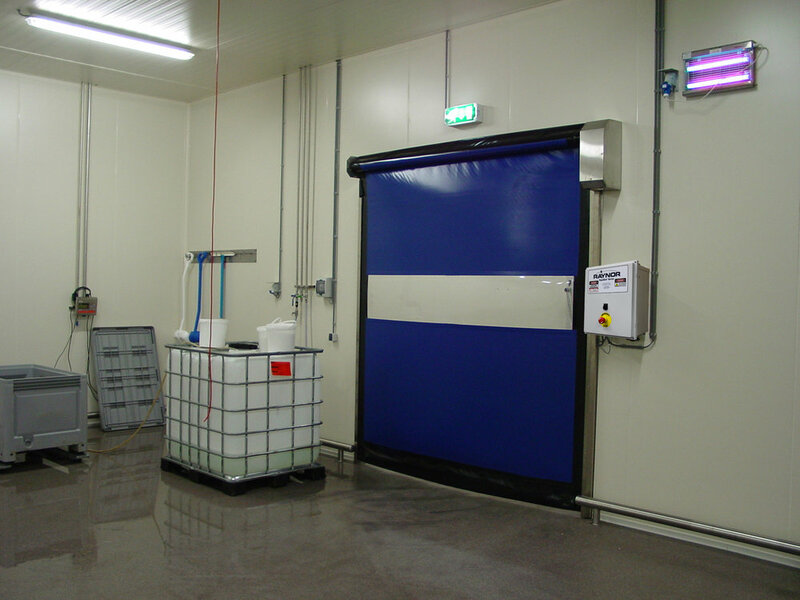 Rolling steel doors are ideal for many applications in industrial and commercial settings. Made from aluminum, steel, or stainless steel slats, in a variety of gauges, These doors are built to last and hold up to the grit and grime of harsh environments while maximizing head space for interior operation. Select a double or single sized door option and then drag the four points over the door in your uploaded picture. Then shop all the styles you would like to see on your home!